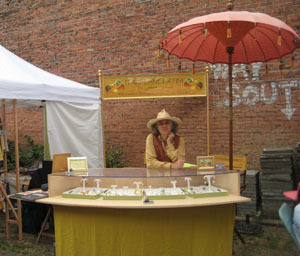 Now that spring has sprung and lots of farmers are coming back to the Ballard market, we have been moved to our summer home in the Artisan Court. This is the small side lot perpendicular to the main market where you can also find the wood fired pizza oven. Since we don’t have our own booth for Daddy’s Muesli, we sell it out of our jewelery booth: Itali Lambertini. 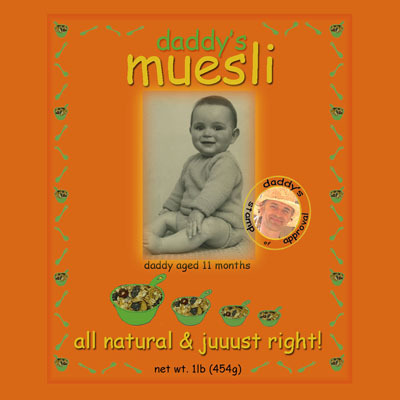 So just come on up to the booth and ask for a bag of Daddy’s Muesli and we’ll have some for you! WE ARE EXCITED TO INTRODUCE YOU TO OUR YUMMY ORGANIC MUESLI! WE’LL KEEP YOU POSTED ABOUT UPCOMING RETAIL OUTLETS AND MARKETS WHERE YOU CAN BUY FROM US DIRECTLY.